Tarot readings are one of the most popular forms of divination, with thousands of unique decks and spreads available for those seeking answers. But tarot interpretation can be a bit daunting if you don’t know what to expect. How accurate are the readings? Should you be worried about what cards are drawn? How literal or loosely should you interpret each card? The mystical world of tarot doesn’t have to be a mystery. Here are some tips on what to expect and what questions to ask to get the most out of your tarot reading. 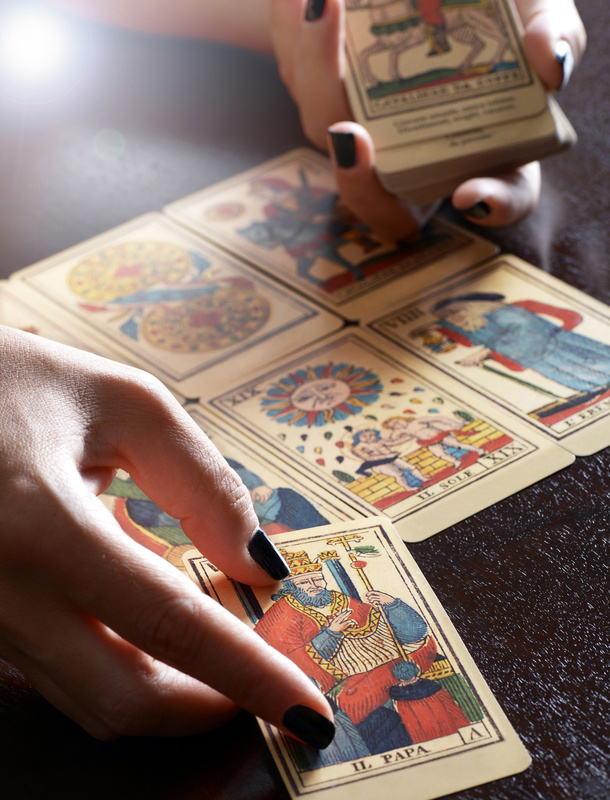 Pop culture has warped many people’s perception on what tarot readings are actually like. Many depict images of crazy-eyed Gypsies making wild predictions. They expect readings telling about one’s love life or professional career. And they think whatever the cards describe should be 100% accurate. Many depict images of crazy-eyed Gypsies making wild predictions. They expect readings telling about one’s love life or professional career. And they think whatever the cards describe should be 100% accurate. But that simply isn’t how tarot cards work. Tarot interpretation doesn’t tell you the future. Rather, it is used as a guide to help one create their own future. Cards within a tarot deck have multiple meanings, including reverse meanings. Moreover, the reader interpreting the cards will also play a factor in a tarot reading. A good reader should go into all possible explanations of the cards to allow the client to connect to the meanings that resonate with them. Then a reader can provide a more accurate reading of the spread. The key to a good tarot reading is asking the right questions. Tarot cards are not all-knowing nor can they answer every single one of life’s questions. It is important to frame questions in a way that can be adequately interpreted using a viable tarot card spread. Here are some examples of bad questions for tarot interpretation and how to fix them. Tarot readers are not mind readers. Nor do they have a comprehensive understanding of the many intricacies of their client’s lives. Thus, a tarot reader is unable to give an answer to a simple yes or no question. Much like tarot readings won’t give yes or no answers to questions, they cannot provide extreme detail to overly-specific questions. Rather, tarot is supposed to help one think through their question from different angles. Take the openness of a tarot interpretation as an opportunity to explore the various meanings of a reading. It is possible that a reading will open the door to a new perspective on an old life question. Many of the questions surrounding love and death desire cut-and-dry answers. As described above, tarot does not provide these types of answers. This is not to say that questions about love and death cannot be asked. Rather, these type of questions should be framed in a way that seeks advice. An example may be to ask how to pursue a romantic relationship with a new interest as opposed to asking whether or not you will fall in love. Moreover, performing tarot readings when you are in a delicate emotional state can be dangerous. Misreadings and over analysis are common when emotions run high. It is best to wait until the initial shock has passed before attempting to yield a tarot interpretation. On the opposite side of the spectrum, overly-vague questions also pose a problem for those seeking an accurate tarot reading. General questions will generate general answers – which in most cases will leave you unsatisfied. To hone in on answers you are seeking, select a few specific areas of your life you want to focus on. This will allow both you and the tarot reader to make meaningful connections between the cards and your life. Shake the Hollywood depiction of fortune-telling from your head. Most readers are regular people just like anyone else. Here’s what you can expect from your tarot readings. In order for a reader to conduct more accurate tarot readings, they must have a degree of information about you and your personal life. Professional tarot card readers hold a high degree of confidentiality, privacy, and respect for their clients. So don’t be afraid to open up to your reader. A tarot interpretation isn’t going to send you away with a dark and mysterious curse. Nor will the place you go for your reading be a shady, run-down shack run by some evil enchantress. If something negative arises in your cards, a reader will help you devise strategies to combat them. Readers exist to help you better understand the questions you are seeking answers to. Every reader is different. Every tarot deck is different. Every spread is different. If you are new to tarot readings, your reader will give you an explanation for how they came to their predictions. It is their job to offer all possible connotations of the cards in order to provide an adequate reading. Tarot interpretations are not 100% accurate answers to life’s questions. Readings are not meant to be taken literally or as concrete facts. When it comes down to it, nobody can tell the future for certain. Rather, tarot readers can guide clients in approaching their questions in new and unique ways. Talking through readings can bring clarity to a question and shed light on factors previously clouded or ignored. Tarot readings and interpretations can be useful, enlightening, and simply entertaining. Whether you turn to the cards once in a while or every day, understanding what to expect from a reading is imperative. Want to learn more about tarot, divination, and the art of fortune-telling? Interested in your own reading? Contact us here for more information on tarot and how to schedule a reading today!